Set amongst 22-acres of lush jungle and tranquil gardens, Four Seasons Resort The Biltmore Santa Barbara defines luxury living and service on the American Riviera. From invitations to wedding cakes, floral creations to memorable farewells, trust the wedding planners at Four Seasons Resort The Biltmore Santa Barbara to simplify your planning and make your wedding day everything you have ever imagined. From your first communication with the Resort, one of our on-site wedding professionals will be your dedicated contact for all your wedding planning needs. Working with you or your wedding consultant, a Four Seasons wedding professional will help reserve dates, plan the schedule of events and coordinate your menu, décor and other details. During the rehearsal and on the big day, your wedding professional will be close at hand to support you, ensuring flowers are delivered to your room, coordinating the vendors and keeping your celebration on schedule. When planning your celebration, every last detail is important – from floral arrangements and centrepieces to photography to menu design. 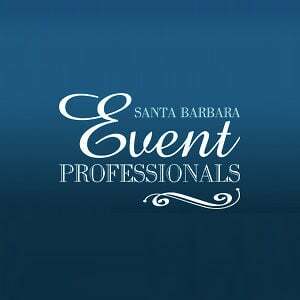 The skilled wedding professionals at Four Seasons Resort The Biltmore Santa Barbara will coordinate all the events at the Resort while connecting you with other reputable professionals who will expertly help execute your vision, creating the wedding of your dreams. With picturesque Spanish architecture, lush gardens and emerald lawns, all set against stunning mountain and ocean backdrops, there are infinite settings around the Resort for your wedding photography. In Escala Garden, the Resort's iconic classic staircase winds gently against the adobe turret, flanked by gorgeous blooming bougainvillea vines. At the top of the staircase is a balcony overlooking a garden, offering a perfect location for a bride's princess pose. The Resort's lush mature gardens offer natural year-round décor for many locations on the property. Impressive eucalyptus trees, rare palms, a phenomenal Moreton Bay fig tree and a 150-year-old Monterey Cyprus tree are highlights, but the garden also features colourful and fragrant blooms that add a note of romance to any setting. For bouquets and other crafted arrangements, the Resort can provide a list of reputable vendors who can create customized florals for your celebration. Your wedding professional can identify other ways in which you can reduce the carbon footprint of your celebration, such as creating a sustainable foods menu, and will help you implement environmentally sound measures throughout the entire planning process. Overlooking fragrant rose gardens and the tranquil Pacific, the Spa offers a relaxing retreat for the bride-to-be and her entourage or a romantic reward for the newlywed couple. Treatments draw on the region's native botanical ingredients to rejuvenate or calm the senses and can be enjoyed in one of 11 treatment rooms. Of these, four are deluxe private suites, each complete with a warming fireplace and a balcony with ocean views. Packages are available for the bridal party or mother and daughter in the Spa, while groomsmen can take advantage of the Spa to prepare for the celebration with a specialized men's facial, cleansing treatment or massage. Couples can enjoy lunch and signature treatments in the split-level master spa suite, which features a full ocean-view terrace and a chromatherapy tub. Select packages offer a full day of pampering, best enjoyed after family and friends have departed. A catered dinner with wine served in the suite is a romantic way to end the celebration. An oceanfront location lends this space the authentic ambiance of the California coast. High wood-beamed ceilings, a fireplace and wrought iron chandeliers lend a classic elegance to any event. Wedding First Dance at Four Seasons Biltmore Santa Barbara. DJ Daniel knows how to Shake it Off at a Four Seasons Biltmore Santa Barbara Wedding. El Mar room rocks at a Santa Barbara Wedding! DJ Daniel teaches cha-cha slide in El Mar room at four seasons Biltmore hotel for a Santa Barbara wedding.